Wodify is a software system designed specifically for the CrossFit athlete. It allows members to sign in for class, record workouts, PR's, and track progress. In addition to athlete services, Wodify will help athletes manage their memberships. Automatic billing is set up through Wodify. Not to mention coaches will be able to see when and how often athletes attend classes. Chagrin Falls CrossFit holds all members accountable in their quest for great results and reaching goals and Wodify is a great tool. Not to mention there is an app for that! Wodify has an app that allows athletes to stay connected to WODs and results even on the go! 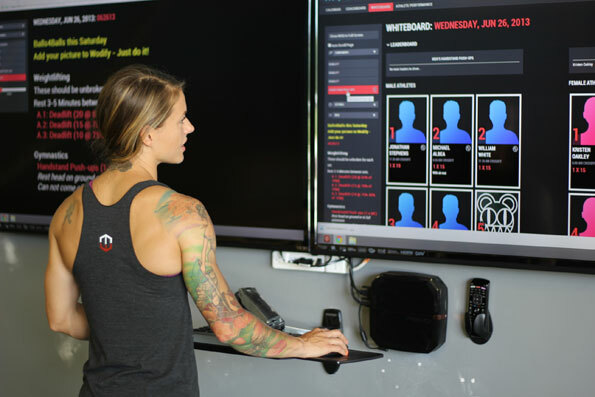 Athletes can sign into their account via computer or the app and check out the WOD for that day, see others' results, comment on fellow members scores, and update profile information.